Installed in the rear balcony of our Meeting House in 1981, Opus 81 by the pipe organ building firm C.B. Fisk, of Gloucester, Massachusetts, has motivated our congregation’s prayer and praise for over 30 years. A 3-manual-and-pedal mechanical action instrument of 35 stops / 51 ranks, our organ is one of the premier pipe organs of eastern Connecticut and far beyond. In addition to its role in our congregation’s worship life, the organ is used as a teaching instrument for the UConn School of Fine Arts, is regularly featured in concerts and recitals, and is the home of the annual L. Cameron Johnson Memorial Organ Competition for accomplished organists at the high school level from around the country. 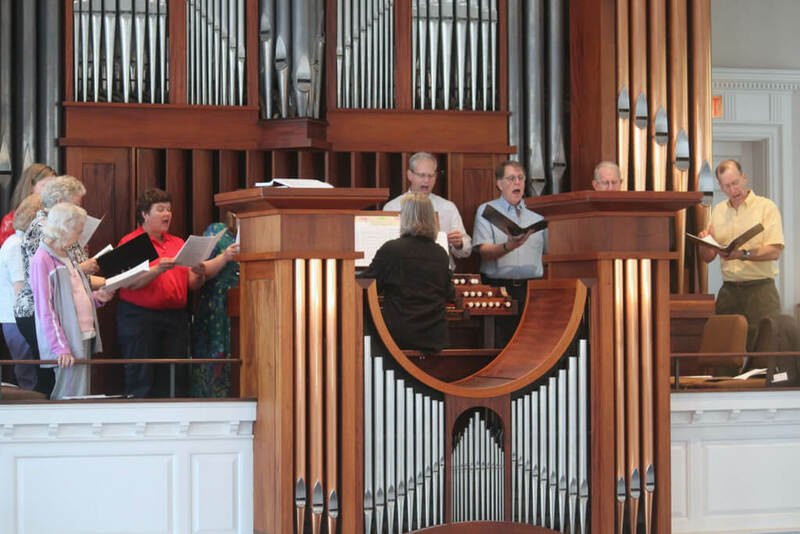 Opus 81 is designed primarily to accompany the congregation and the choir and to play organ voluntaries of the worship service. The organ’s location on the edge of the University of Connecticut campus makes the performance of music of all periods and the teaching of students important considerations in its eclectic specification. The reeds of the Great and Positive are French, the Swell Trumpet and Oboe are English, and the Swell Dulcian and Pedal Trombone are German in origin. The Cornets are in both the French and the German style. The Swell is inspired by 19th century romantic examples, and the Great and Positive are grounded in the 18th century. The flexible winding can be stabilized to 20th century standards by the drawing of a knob. Our organ, C.B. Fisk’s Opus 81, was the last instrument completed by the firm prior to the death of Charles Brenton Fisk, the firm’s founder. Charles Fisk was a noted American organ builder, a significant figure in the revival of traditional organ building in this country, particularly the return to mechanical (or “tracker”) action. 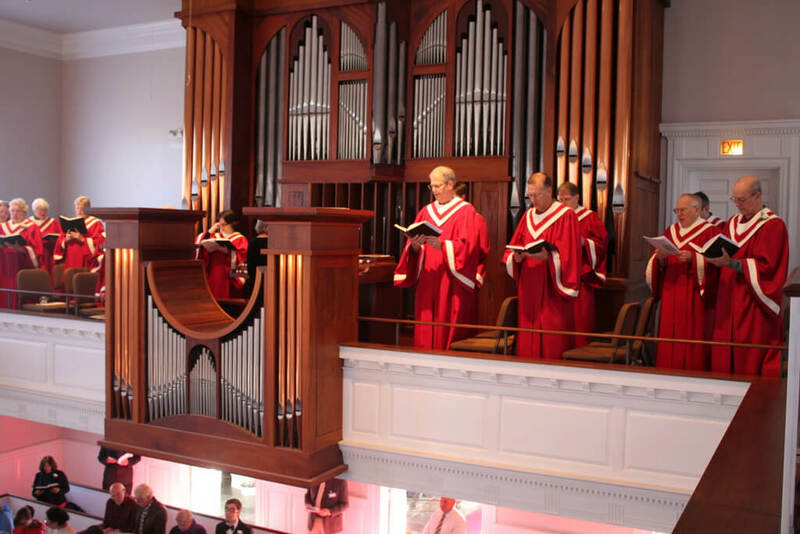 Other Fisk organs built under Charles’s leadership include the well-known instruments at both King’s Chapel and Old West Church in Boston, and the firm continues to this day to be one of the preeminent organbuilders in the United States. More information about our organ is available on at the C.B. Fisk, Inc. website.